H.E.L.P. Group Inc. keeps things moving all the time. Here’s what we’re up to lately. Portland, Ore. – In the next decade, the demand for careers in science, technology, engineering and mathematics is expected to grow at four times the rate of all other occupations. In Oregon alone, there are an additional 109,000 jobs anticipated in those fields by 2018. With an eye toward the education and workforce needed to fulfill such growth, the Oregon/SW Washington Energy Consortium is looking to energize young people to work in STEM-related fields during Careers in Energy Week, Oct. 15-21. Resources for educators and students can be found at www.getintoenergy.com. Teachers can register for the free Educators on Energy Careers & Resources webinars at the links below. Now is the time to improve your home energy consumption. 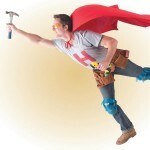 Start with a Home Energy Audit. Call now; our fall project schedule fills rapidly, before those winter heat bills show up! We’ll connect you with cash incentives and rebates that are available with your home energy project. Want to know about programs offering low-cost financing, special limited time promotions, or paying for energy updates on your utility bill? We’re here to H.E.L.P. and we have the answers you need! Home Energy Life Performance Group Inc: 503-244-8232. Friday August 10 – H.E.L.P. 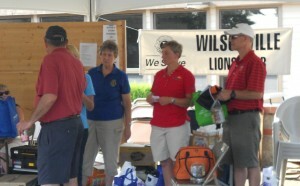 Group Inc. spent the day with the Milwaukie and Wilsonville Lions Club at the Charbonneau Golf Course. We sponsored this very worthy charity event to help raise funds for the Lions Eye Bank and other children’s charities. 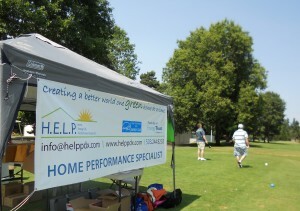 Golfers stopped at our booth heading up to the 1st tee. 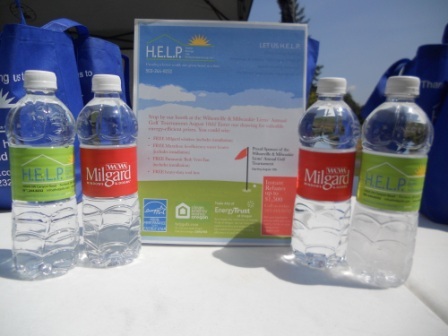 We had great gift bags for everyone, filled with energy-saving products like CFLs, information about cash incentives and rebates for home energy improvements, and plenty of fun trinkets and treasures. Everyone entered our drawing for Milgard windows, a Marathon water heater, Panasonic vent fan, and 2 De Walt toolboxes. Congratulations to the winners! 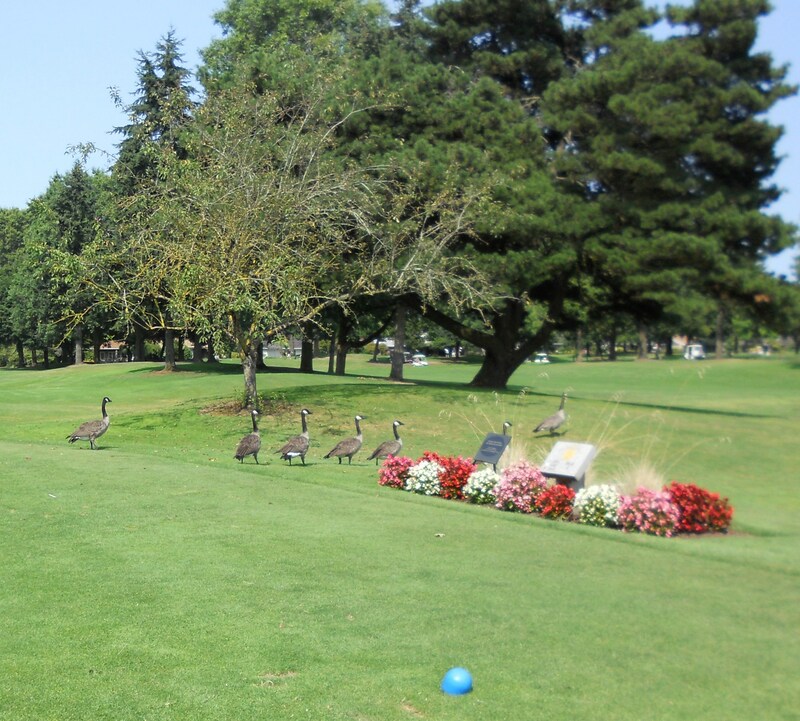 Note our visitors from Canada: a group of geese came by to check out our booth. We told them about special rebates for a Nest Energy Audit! H.E.L.P. 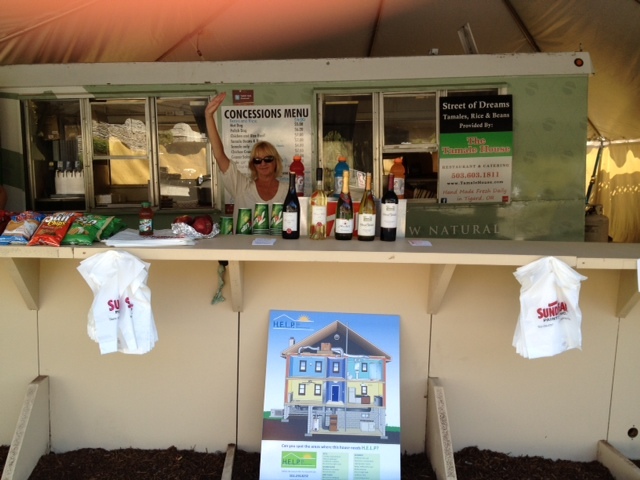 was in the concession booth at the Street of Dreams, serving cool drinks and snacks on a warm day. We were there to check out all the latest home performance technology, but were also inspired by the beauty and design. Innovative fire protection products and solutions to keep insulation away from recessed lights and to reduce energy loss through light fixtures The Tenmat FF130E Recessed Light Cover has been specifically designed to keep insulation away from standard recessed lights. The cover is made out of fire resistant mineral wool material and maintains sufficient space around the fixture for proper functionality when surrounded by insulation. The durable and lightweight covers will significantly reduce thermal loss through the light and condensation on roof timbers. Simply put, the Chimney Balloon is a product designed to stop heat from escaping up the chimney during cold months, and cold air from leaking out of the home during summer months. 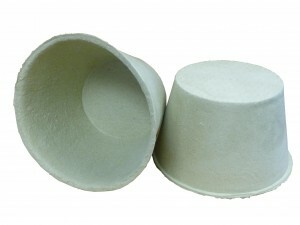 It’s a specially engineered polyethylene bag-like product available in hundreds of sizes. It’s easily installed by inserting the bag into the chimney flue, and inflating the bag until the edges are securely sealed against all sides of the flue. The balloon requires a yearly maintenance check, and can be effective for more than five years. The Chimney Balloon is a simple solution for an expensive problem. 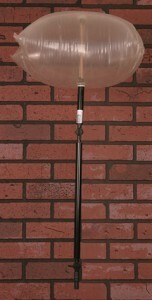 We have them in stock in our Portland showroom, come by and get yours today. ….I had the unique opportunity to visit two homes in the program – jobs done by H.E.L.P. and the amazing Berenice! Nothing is more fun than to go see jobs done and/or underway… as I’ve stated many times, contractors are the heart of home performance – after meeting HPCG contractors and seeing Berenice’s work – I know OR is going to succeed. Well done all around! When can I come back?